So you’re thinking of rebranding your company, or you’re naturally lumped into the process as a marketer. (Yes, these decisions can come from the top and can come in the form of a pile-on. I totally feel you!) Don’t fret. I’m here to share some insights as someone very fresh off the process, and whose learnings both haven’t been fully repressed as bad memories nor fully eclipsed by rose-colored, nostalgic glasses for those parts that went particularly well. Whether you have a designer in-house (we didn’t before this last year!) or you’re coordinating freelanced or outsourced talent, going through product development changes or updating help pages screenshots, it’s easy to underestimate the scope of a rebranding effort. For all those going through a full company rebrand, or something at a smaller scale, here’s what we learned that any marketer can take and apply. 1. Rebrands don’t mean your old brand was no good. 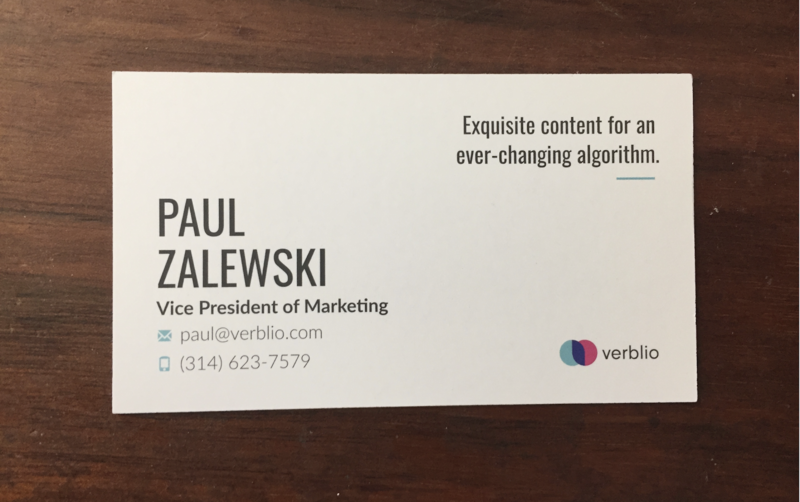 A quick intro: we’re Verblio, long-time IMPACT friend, more recent IMPACT partner, and fellow championer of HubSpot. We write all different types of content for businesses and the agencies that serve them. 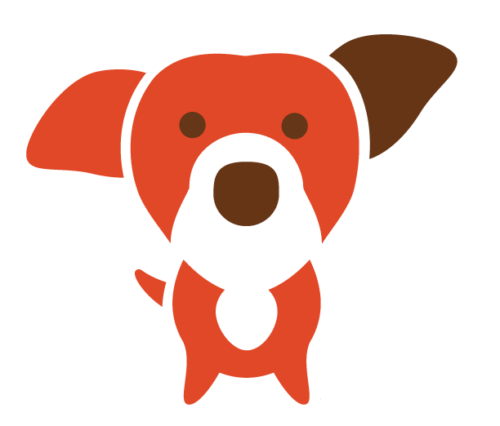 Up until October 2018, we were known as BlogMutt—again, long-time HubSpot integration and partner in outsourcing content. ...which brings me to my first point. Rebrands, in and of themselves, don’t mean your old brand was no good. 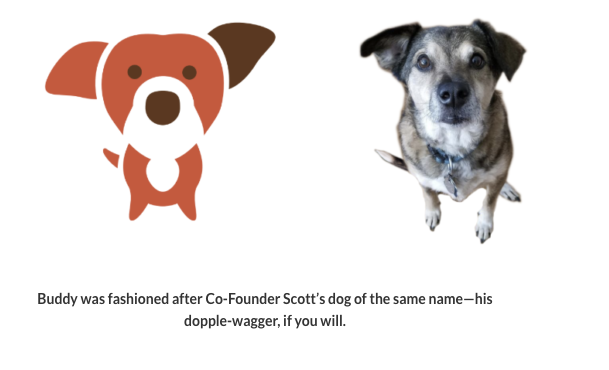 In our case, the name BlogMutt grew our company to $2M in revenue over the course of seven years, steadily building over time, all while completely without investment, bootstrapped. Aside from this, the BlogMutt brand played a significant role in how we did business and fostered a community of thousands of loyal, hardworking, flexible writers, and countless adoring clients/fans to match. Largely, we made the decision to rebrand because we had outgrown the name. 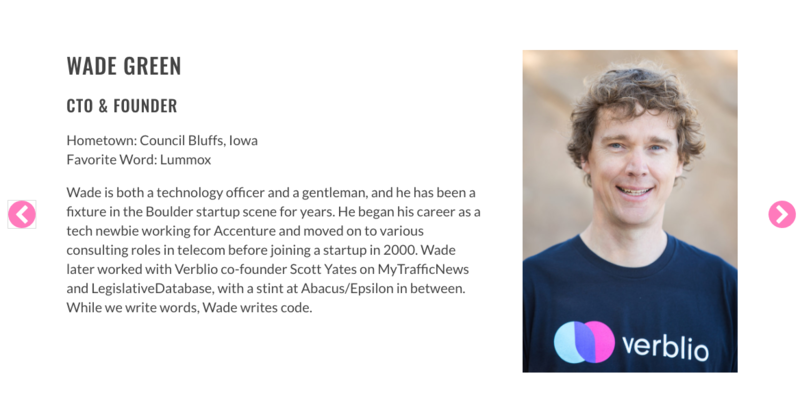 Every day, our community of writers collaborates with clients on much more than blog content, which was reason enough to leave BlogMutt in our rearview mirror. However, we were careful to carry the BlogMutt hardworking, approachable legacy to Verblio throughout the branding process. While leaving the clunky series of consonants behind. Takeaway #1: Don’t leave the best of your brand behind—reimagine it, evolve it—to fit your future vision. 2. Stay agile and expect chaos, no matter how well you plan. I’m sure anyone recalling their rebranding process can attest to battle scars. For us, the first cuts were the deepest. Our original website designers dropped out after several months of working with them, forcing us to really go back to the drawing board to even get our new website built. Even though we had full-fledged spreadsheets organizing multiple teams at the time, those spreadsheets were rendered useless in the absence of clear delineation of tasks (and people to do them, in our case!). This first obstacle was especially critical for two reasons—to call us all back together to a) rally behind the cause and b) pick ourselves back up to stay true to our “North Star” objectives. The result? We had our first all-hands-on-deck call to the whole team (one of many)—beyond just the marketing team—to execute well. And, out of this period of doubt and utter confusion, emerged the bright idea to hire our freelance design resource, the brilliant Mandi O’Brien, full-time (after we convinced her to move from NYC to Colorado, of course). This first cut was deep, yes, and was not the first of its kind. The main constant, we came to find, was c h a o s. But over the course of experiencing these obstacles and moments of utter madness, we healed, banded together, and developed resilience as a team—the new team of Verblio. Staying agile and expecting chaos was our secret to staying sane. Takeaway #2: Bend, don’t break, and expect bumps in the road…no matter what. 3. Alignment around messaging is key—but don’t get crazy. On the tails of the point above, rallying behind the new brand is necessary (and great!). One of the ways to do this as a team is through opportunities to “try on” the brand as individual contributors and feel how it really “walks and talks.” To facilitate this, we engaged in a couple important workshops to compare our “versions” of Verblio to open conversations and narrow in on a voice that felt authentic to all of us. What’s less important, though, is exhausting messaging before the rubber even hits the road. Across the varying functions of team members, each department is going to naturally bring different lenses to the messaging table. In broad strokes, sales will overstate and seek to simplify, marketing brings the branding in strong to keep readers interested, and operations seeks to clarify and get the messaging spot-on to prevent customer confusion. And, as a company, we’re a bunch of wordsmiths at Verblio, to further exacerbate these pain points. We had our share of excessive iterating around messaging. But wordsmithing for wordsmithing’s sake will take exactly as long as you let it take. Meaning: it can go on FOREVER. Takeaway #3: Draw a line in the sand. The iterating on messaging as a team can, and must, follow. We finally agreed that we wouldn’t be able to unanimously align around our motto/tagline after weeks of toiling on it. The tagline only solidified when we were ordering business cards for the team in a flash moment of brilliance, courtesy of our stellar website copywriter, Annika Nagy. It’s hilarious how these things happen! Exquisite tagline brilliance, served up by Annika Nagy. An interesting component unique to our situation outside the internal team was getting buy-in and over-communicating with our community of writers on need-to-knows and whys of the new brand. 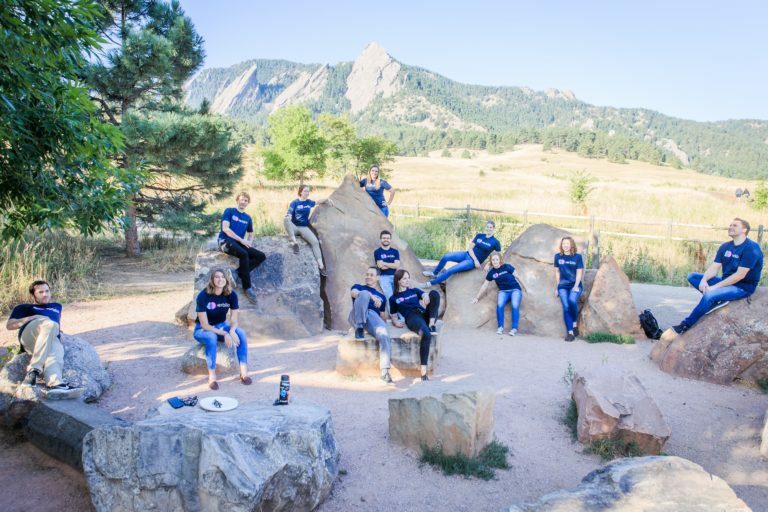 They have just as much stake in the company doing well as in-house employees—so they were a key aspect of the rollout plan and it was paramount to consider our messaging from their lens as well. As one of the last defenders of BlogMutt as a brand, I made a point to include our loyal writer base actively in the rebranding prior to the big “switch flip” to Verblio by sending “limited edition” BlogMutt T-shirts to these evangelist writers, as well as customer segments. This was wildly successful. Taking good care of your evangelists through what sometimes feels like over-communicating is always appreciated. Don’t skimp on that. This is a slight extension on the last point—yes, it’s important to communicate, and over-communicate whenever possible, especially during a rebrand. Winning all aspects of a team’s buy-in comes in many phases, and often not all at once. It might feel counterintuitive in the context of project timelines to make allowances for seemingly peripheral tasks like this. But, it’s far from peripheral to take the time and care to hear as many voices as possible surrounding a rebrand. Including those voices in the process in some small way can convert your evangelists of Brand #1 to Brand #2. These evangelists you transition to the new brand serve as a critical foundation to your audience starting out. And man, as a marketer, those are pretty compelling low acquisition costs for a new brand, right?! There is a yin to this yang, however. There is a fine line between over-communication, cycles of feedback, and getting yourself in a nasty case of too-many-cooks-in-the-kitchen. It is an ongoing struggle of getting voices heard beyond the core decision-makers during this period of transition and great change — while also needing to move forward and make decisions to keep the projects progressing. It is hard. There’s no getting around that. Takeaway #3a: Keep conversation lines open. We had a #rebranding Slack channel to continue brainstorming as a team, apart from the one-off, scattered meetings to voice concerns, discuss in-person, and determine to-dos for each team member. 4. You don’t have to be a Virgo to appreciate a good spreadsheet. In fact, we’d love to share our spreadsheet with you (email me—kali@verblio.com—I’d be happy to send it your way)! It was the one thing we really weren’t able to find through the powers of content marketing to manage our rebrand…so we just created our own. Aside from that, this one source-of-truth spreadsheet was essential to organize and rally our team around the hundreds (yes, hundreds!) of cross-departmental tasks that needed to be completed. Beyond the main timeline, it also was a lifesaver AFTER the rebrand launch date to return back to quick-follow tasks. (And yes, stuff was missed! But at least we were able to know we missed it, amirite?) It became the catch-all. Takeaway #4: Ask me for our project spreadsheet. It immediately makes everything feel better. 5. Moving to a new domain is painful for SEO, no way around it. Our company is lucky enough to count inbound as one of our most important customer acquisition channels. In terms of migrations, this was a big one. 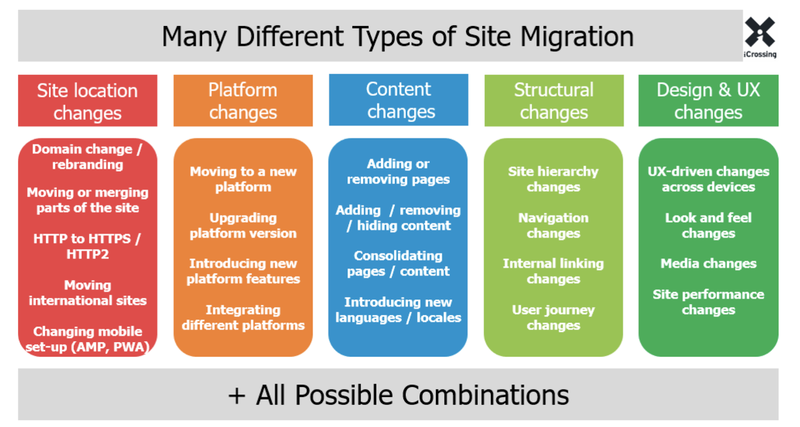 In this wonderful guide to site migrations from the Moz blog, there are five major types of integrations listed. We were doing them all. All at once. So, we had good reason to be worried. But we also decided we wanted to be as prepared as possible. We met with our SEO agency. Paul, our in-house SEO expert, read guides, met with our technical team weekly, created checklists and did more worrying. We had a team of interns comb through our thousands of old blog posts to get them into ship-shape. We created a massive list of 301 redirects. I think in the end we were about as prepared as we could be. And, even with all of this, there was a drop in our organic traffic of 20% to 25%. It was scary. It lasted about six weeks. We also missed things. Despite that massive list of redirects, we missed a bunch. We changed some naming conventions and missed those changes on the redirect side of things, which caused hundreds of long-tail pages to 404. Paul and Wade, our CTO and co-founder, developed a daily cadence of fixing them. Takeaway #5: Find a great guide, read it twice, use it to make a checklist, and solicit expert help. Even with all that, prepare for the dip. 6. Consider ongoing function AND design in website development. A primary objective for our new website of the rebrand was to have a website we could easily manipulate—both text and design-wise. Previously, we could make text changes just fine, and everything was mobile-responsive, etc. But from a design perspective, it was unwieldy. We had to go back and forth with a designer to implement any layout changes (even small ones!) in our specialized template environment. No longer! And thank goodness. As agile marketers, we needed the capability to iterate, build, test, and make changes according to these experiments on our site. As marketers, you simply cannot settle for less! That said, it’s also hella easy to fall in love with the whimsical promises of a design agency wanting to make the flashiest new website. Yes, we all want nice websites, but clunky, beautiful websites that just don’t work well are never the goal. Keeping this objective front-of-mind from the beginning was a critical point we escalated time and time again in design conversations to really determine the best route for us. Since we were building our new website on WordPress, we landed on Beaver Builder as the framework for the design of our site, mostly recommended by our new designer, Mandi. (And we landed on this despite my boss, Paul, thinking that all visual composers for WordPress were bad). Takeaway #6: Be mindful of nice-to-haves vs. must-haves (and call them by those names!) in the rebranding process and how those affect your tech stack. Rebranding is a point to revisit and streamline if at all possible. 7. There’s no time like the present to make a formal content style guide. This point speaks for itself. Despite being a content creation company, we hadn’t yet formalized a content style guide like a branding style guide. It’s embarrassing and shameful to admit. However, we took notes from one of our favorite IMPACTers, the mighty content juggernaut Liz Murphy, who recommended establishing a content style guide right away. She was kind enough to share this post in its drafting stages to get us started on the right foot. It proved ESSENTIAL (yes, all caps) to us iterating beyond our in-the-trenches website copywriter to bring more in-house contributors in on the brand voice. The baton pass to the remaining contributors with this style guide in hand proved seamless! Takeaway #7: Don’t wait as long as we did to make a formal content style guide. Rebrands are a perfect time to do it. 8. You will never find a brand/website/logo/copywriting style that makes everyone happy. In fact, if you do, it might be a sign something is wrong, or worse—you’re not being bold enough. This harkens us back to an old Seth Godin post. Being forgettable is too big to risk in a rebranding process, given how expensive it is in emotional, time, resources, and actual money spends. Among the most polarizing components of our rebrand included the pink in the logo (our CEO Steve Pockross pulled a veto of it in the early days! ), different names in the conceptual phase, variants of our logo (the term “bloated hippo” was featured! ), our early Facebook retargeting ads asking prospects if they were “Verb-curious,” and our voice overall. Internal and external haters should be expected. Everything, yes EVERYTHING, comes back to what works and resonates for your audience as marketers. This is a drum that the marketing department can, and should, beat like no one else. Without any compelled audience, any message, product, service, company becomes moot. So, beat it, marketers! Takeaway #8: Internal and external haters should be expected. If your goal is to make all parties happy, rebranding is not going to solve your base problem. 9. Figure out a way to “soft launch” various components and do iterative rollouts. When we started talking about rebranding, I daydreamed about hitting one big, metaphorical button that said “Rebrand!” that did every single thing in one brilliant, fantastical moment. And there was indeed one day we appointed for more or less this purpose (for us it was a Sunday—we had a party at Verblio HQ). On that day, our CTO did change a few lines of code that implemented all of our redirects and became the official “moment” of the rebrand. And it was magical! But, in reality, all of the things that went into the rebrand were done over a much longer period of time. We made changes to our product that would be announced as part of the rebrand weeks before as a “soft launch” that allowed us to test them with a small group of customers. 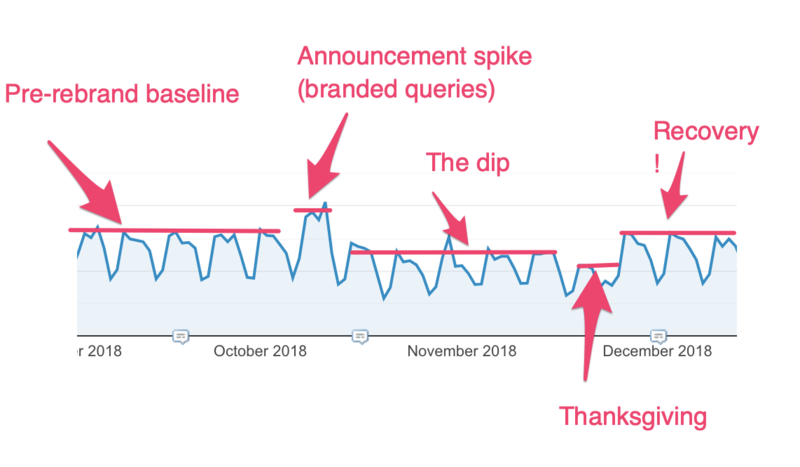 We launched our new domain name about a month before the rebrand with a “splash page” to start to warm the domain up and ensure our new site would rank #1 on Google for “Verblio” on Day 1 of rebrand. All of this “pre-rebrand” launching totally saved our bacon and made Launch Day go off nearly without a hitch. Takeaway #9: Whenever possible, find ways to test or “soft launch” features, websites, domains, and creative assets before your big day. 10. Show your quirkiness and prove there are real humans behind your brand. It didn’t take a genius to notice in 2019’s round of Super Bowl ads that the general population is terrified of robots. And, to some degree, yes, we all are afraid of them. Yet, we as consumers interact with them consistently, in the form of “nicer robots,” like chatbots on web pages, email automation, and Alexa and Siri. As marketers, we know they have a critical role and continue to embrace the possibility for innovation within the marketing space. However, all this change begs for bringing humans forward whenever possible, especially in all forms digital. That’s why companies like Vidyard and Soapbox have made such gains in the overall market—we as humans love interacting with humans. It’s in our DNA. So, naturally, in a digital setting, and especially for us as a company backed by 3,000 talented, industry-expert freelance writers, it was a no-brainer to highlight our happy writers with much more focus for the Verblio rebrand. The BlogMutt iteration of this was definitely of its time—highlighting a crowd of writers vs. each of the individuals who would serve our clients. That, and we wanted to highlight the quirky humans we employ in-house, too! We have book club meetings, we write weird blog posts, we riff and make bad puns (though I wholeheartedly maintain that NO pun is a bad pun!) on Slack daily, and we wanted to be more personality-forward with the new brand. And we sure had fun with it. Takeaway #10: Have fun, both internally and externally. Like, REAL fun. The creativity that is part and parcel of uprooting your entire brand’s concept lends itself to super memorable and just plain fun results. Welcome it! 11. Remember what you’re rebranding for. This ties back into point #1, but keep the strengths of your old brand, and where you seek to fill the gaps with the new brand, near and dear to your heart. As nerdy and basic as it sounds, make a list of guiding objectives for your rebrand and laminate it or otherwise make it easy to refer back to. You’re going to need to keep returning to it again and again, and over time it transforms into a “love language” of sorts for your in-house team. It will be a crucial communication point to keep everyone aligned around the same things you all deeply care about. As you embark on the rebranding process, it’s an equally slippery slope to either over-complicate the process or significantly under-complicate it. Companies that are so eager to get from point A to point B that the rebrand turns into a simple new coat of paint or swap of a template vs. a true reimagining of what the website, and brand, should feel like. Don’t be either of these guys. Both undermine what a rebrand should do and accomplish. Keep that nerdy, basic list handy and keep returning to it. Guide other team members to return to it. Just like I’m doing now. It can serve as the breadcrumbs to your Hansel and Gretel to take you back home, home to your new, awesome brand. Takeaway #11: Sounds nerdy, but make a list of objectives for a rebrand. Keep returning to them, starting meetings with them, and continually remind the team members what it’s all for. As promised, here’s our list of takeaways (and bonus! It was more than 11!) to carry with you into your own rebrand. Takeaway #2: Bend, don’t break, and expect bumps in the road...no matter what. Takeaway #3a: Keep conversation lines open. We had a #rebranding Slack channel to continue brainstorming as a team, apart from the one-off, scattered meeting to voice concerns, discuss in-person, and determine to-dos for each team member. Takeaway #4: Ask me for our project spreadsheet. It immediately makes everything feel better and tackle-able. Takeaway #5: For SEO, find a great guide, read it twice, use it to make a checklist, and solicit expert help. Even with all that, prepare for the dip. Now, it’s your turn. What’s your rebrand process looking like? What of this list was or wasn’t helpful to you? What do you wish I covered more of? I love feedback—the good, the bad, the ugly. I also love nerding out on rebranding and content at large. Let’s keep talking and get in touch with me in the IMPACT Elite group on Facebook—feel free to @ or message me directly! I’d love to hear from you—I’m so fresh off this process and am happy to lend an ear or help brainstorm on any of this stuff.